Winner of the 2014 Khyenste Foundation Translation Prize. 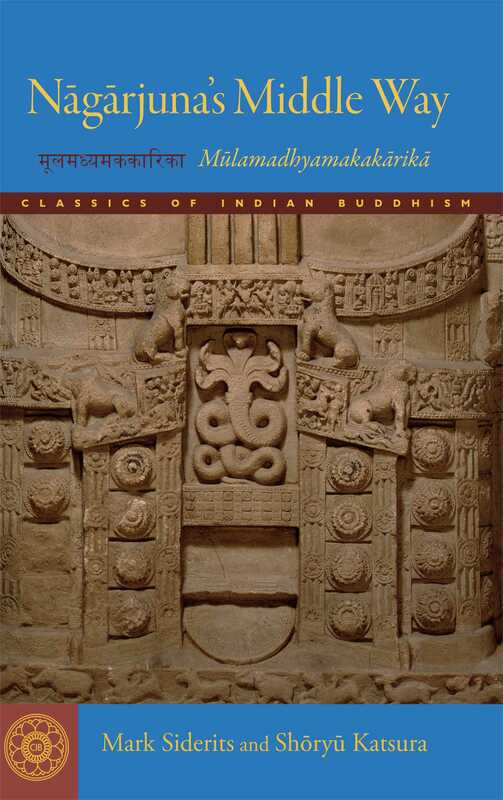 Nagarjuna's renowned twenty-seven-chapter Fundamental Verses on the Middle Way (Mulamadhyamakakarika) is the foundational text of the Madhyamaka school of Mahayana Buddhist philosophy. It is the definitive, touchstone presentation of the doctrine of emptiness. Professors Siderits and Katsura prepared this translation using the four surviving Indian commentaries in an attempt to reconstruct an interpretation of its enigmatic verses that adheres as closely as possible to that of its earliest proponents. Each verse is accompanied by concise, lively exposition by the authors conveying the explanations of the Indian commentators. The result is a translation that balances the demands for fidelity and accessibility. "Nagarjuna's Mulamadhyakamakarika has long been one of the most important works in the Asian philosophical traditions, but access to it is difficult for Western philosophers and scholars. Katsura and Siderits' translation and commentary renders the work accessible in an outstanding fashion. The scholarship is of the very highest quality, the translation is authoritative, and the commentary provides a picture that is vivid and illuminating." "This new translation by Shoryu Katsura and Mark Siderits is accurate, faithful to the Indian interpreters, and clear. These two scholars have rendered the Madhyamakakarikas with an exemplary combination of philological and philosophical rigor, making this the translation of choice for Nagarjuna's seminal verses." "At last! At last we have a translation of the Mulamadhyamakakarika that can be enthusiastically recommended to students! This translation has the authentic flavour of Nagarjuna. It should certainly become the first translation of choice for all English language work on the Madhyamakakarika in the foreseeable future. It is highly recommended. Bravo - I am delighted!" "Mark Siderits and Shoryu Katsura have produced what will justly be received as the go-to translation of one of the most important works of the Indian Buddhist philosophical tradition. The authors' comments--based on sensitive attention to all the available Indian commentaries on Nagarjuna's magnum opus--clarify Nagarjuna's verses with admirable concision, while yet permitting a range of interpretations of Nagarjuna's purport. Siderits and Katsura have thus achieved something remarkable -- a rendering of Nagarjuna's foundational text that is clear and concise, but that nevertheless lets us see how Nagarjuna can have been so variously read by interpreters both traditional and modern." "This is an amazing book. It provides a refined translation of Nagarjuna's text and creates a lucid synthesis of the traditional commentaries, pointing us on our way, challenging every step and at the same time pushing us to our own intimate insight into the fundamental matter. If a book could ever be a Zen teacher, this comes as close as we're likely to find. Every Zen student should read it, return to the pillow, then return to the text, again, and again. And again."